The Caldwell family has farmed the southwestern lip of Napa Valley for two generations. The vineyard is farmed with extreme care. Located on a thin soiled, volcanic rim looking north into Napa Valley from their Coombsville porch. These grapes are usually harvested with high sugar, long hang time (26°-28° brix) and high pH. The grapes and the Caldwell wines have a loyal following. They are ‘out of the ordinary’ and not recommended for beginners, but for those seeking the Best! Check out this feature in the January 2019 edition of Wine Business Monthly on Caldwell Vineyard. 2017 Juice Panel: Brix 25.5, 3.86 pH, TA 3.7, Malic Acid 0.8 g/L, YAN 147 Use Lalvin GRE or EnofermCSM yeast. Add a medium portion of yeast food, 1 liter of water and 40 gr. of Tartaric acid. Fast ferment, 4.5 days on skins, ferment 75°. Complete malolactic fermentation. John Caldwell and his family have converted a tongue of decomposed lava in the Southeast corner of Napa Valley into a very top end vineyard and winery. Brehm Vineyards feel honored to have a portion of this famous vineyard allocated to our clients. Vines are tightly planted, meticulously tended to provide intense, very ripe grapes. Be prepared for a big, rich Cabernet Sauvignon that will deliver the best of Napa Valley while allowing a relatively early enjoyment. 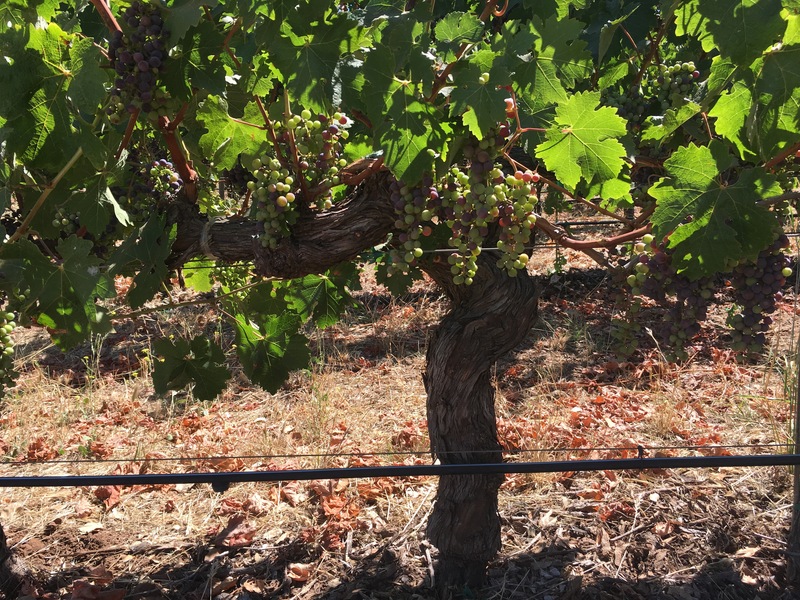 Vine Clone: Older vines are Clone 7. Newer vines are Clone 337. Brehm Vineyards receives a combination of the two. 30” – 50” of rocky soil over cracked basalt, north / north west slope elevated off valley floor produce small berries and very intense wine. Caldwell Vineyards produces Cabernet Sauvignon wine from their vineyard. Available to order online or at the winery. Click here to for more information.